Ten years ago many visitors to Laos were from Australia, England, and America. Now, many are German and French. 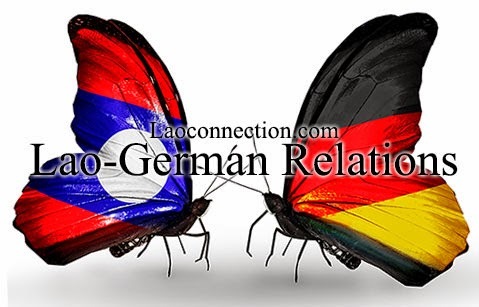 Here is a brief look and some interesting facts on Lao-German diplomatic relations. One of the most iconic images and places seen in Luangprabang, Laos, it's the Royal Haw Prabang Temple on the grounds of the National Museum (aka Luangprabang Royal Museum). A full 1 hour and 44 minutes of video footage of Laos seen through the eyes of a tourist. There's no narration or music added. The simplicity of this means you get to hear and see things as though you were there. Makes it seem more real somehow. Very fun to watch all the different scenes cut together. The end of the video ends in Thailand but the rest is all taken while in Laos by the videographer. The startling findings of the latest global report on education place a tough assignment ahead for new minister Narong. Thailand's poor standing in a recent global survey on the quality of education has caused alarm among educators here and prompted the authorities to respond. Thailand is ranked 87th in the world in the World Economic Forum (WEF) Global Competitiveness Report 2014-2015 - behind most other member-countries of the Association of Southeast Asian Nations, including less economically developed neighbours such as Laos, which is ranked 60th. This is both embarrassing and unacceptable. Follow along with the creator of the video, Alex Grekus, in his educational series called Finding Lost Civilizations. In this episode, learn about the mysterious megalithic stone jars in the Plain of Jars of Phonsavan, Laos. Video Credit: StoriesbyAlex on Youtube. The city of Vientiane has come a long way. Here's a quick video of aerial footage of the city along the Mekong River. Video Credit: Lao Pride Channel on Youtube.